One of the Philadelphia region’s leading cultural and civic assets, the Mann Center for the Performing Arts has presented world-class performing artists of diverse musical genres in Fairmount Park since 1935. Founded as the Robin Hood Dell Concerts, this unique outdoor amphitheater has continuously served as the summer venue for concert presentations of the world-famous Philadelphia Orchestra. From 1935 to 1976, The Philadelphia Orchestra was presented as The Robin Hood Dell Orchestra for this summer concert series. The series moved into its present facility in West Fairmount Park in 1976. This move was possible through the generosity and support of Fredric R. Mann. “Freddy” was a prominent Philadelphia businessman and philanthropist who supported the cause of summer musical performances in Fairmount Park. He became a director of the Robin Hood Dell in 1941. Built during the United States Bicentennial, this new venue with an approximate capacity of about 14,000 became the largest covered music and arts venue in Philadelphia. It was named the Robin Hood Dell West, with the original Robin Hood Dell venue taking the name Robin Hood Dell East (known today as the Dell Music Center). Just three years later, the Robin Hood Dell West was renamed the Mann Music Center in Fredric Mann’s honor. The Mann has continued to host annual Philadelphia Orchestra concerts and serves more than 200,000 patrons annually through a diverse line-up of world-class artists, touring companies, and popular and contemporary musicians. Fredric R. Mann became director of the Robin Hood Dell in 1941. 35 years later, the new venue was renamed the Mann Music Center in his honor. The Mann began implementing free educational programs in 1997. These programs were aimed to serve disadvantaged children and under-resourced populations throughout Philadelphia and the surrounding counties. To better reflect the Mann’s artistic goals, broaden the venue’s programming, and provide meaningful arts experiences for diverse communities, the Mann Music Center was renamed the Mann Center for the Performing Arts in 1998. The Mann’s community and education programs further expanded in 2007 with the building of the Field Education Center. The Mann has one of the largest free educational programs of any outdoor presenter in the country, reaching 30,000 people annually through young people’s concerts, in-school presentations, workshops, and master classes. In 2008, Catherine M. Cahill joined the Mann as President and CEO. Under her leadership, the Mann has developed strategic partnerships with Evans Mirageas, consultant to classical organizations across the world, and internationally recognized music promoter AEG/Bowery Presents. This remarkable combination of partnerships has increased overall attendance at the Mann and brought a wide variety of new, exciting, and innovative programming. Examples include Aretha Franklin performing with Condoleezza Rice, Sigur Rós, Idina Menzel with the Mann Festival Orchestra, and the Movies @ the Mann series. The Mann received Pollstar nominations for “Best Major Outdoor Concert Venue” in North America in 2010, 2011, and 2014. In 2015, the Mann was awarded a Certificate of Excellence by Trip Advisor and received a Pollstar year-end ranking of 49 out of 100 amphitheater venues worldwide by ticket sales. 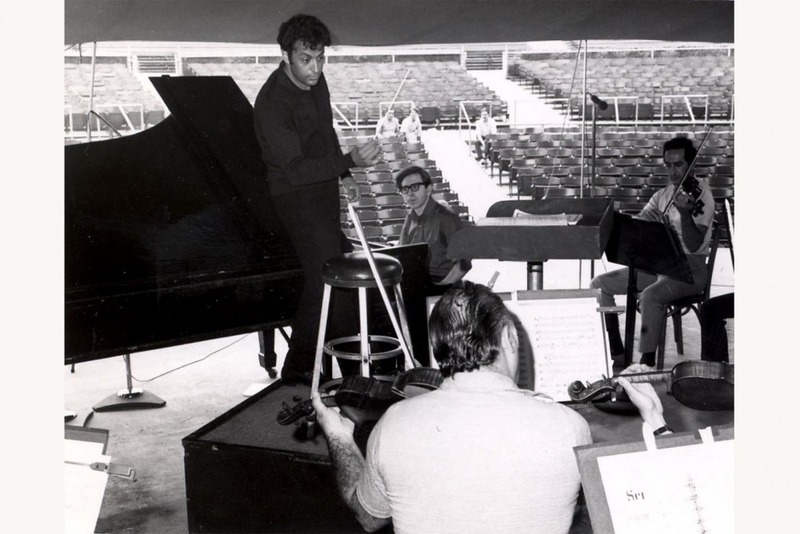 Van Cliburn plays the piano on the stage of the Robin Hood circa 1968. 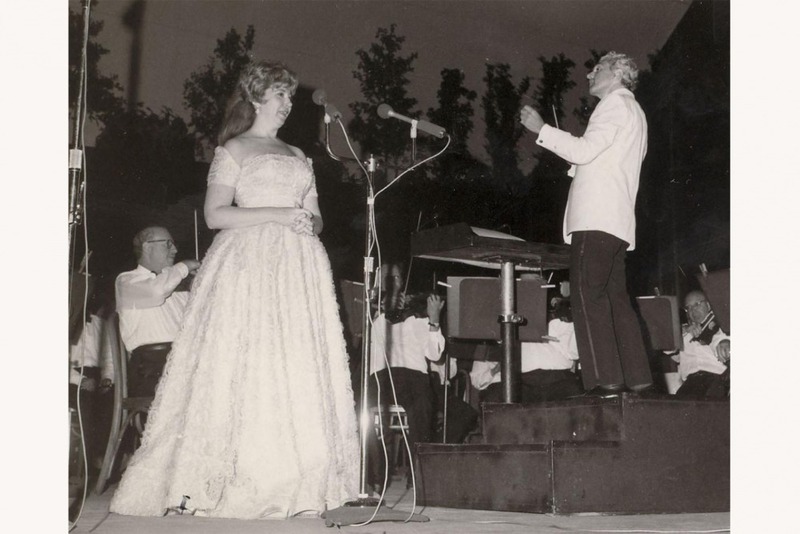 Beverly Sills sings at the Robin Hood Dell. 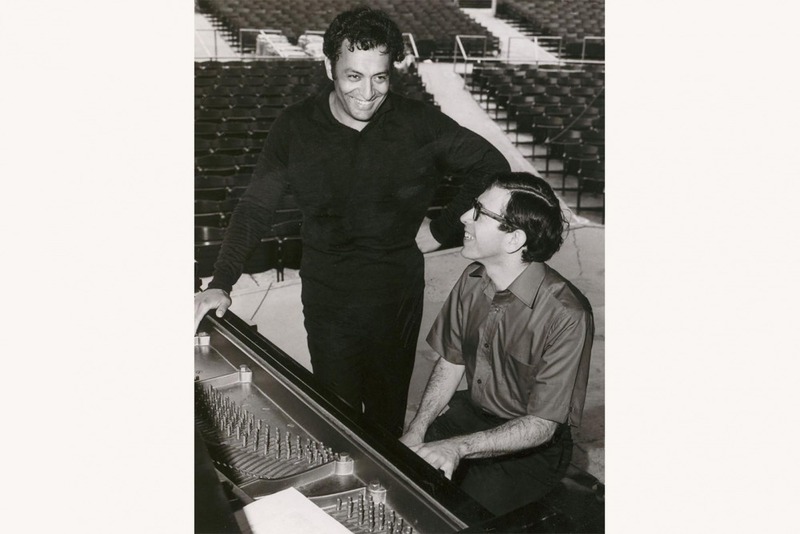 Zubin Mehta and Jerome Lowenthal at the piano during a rehearsal. 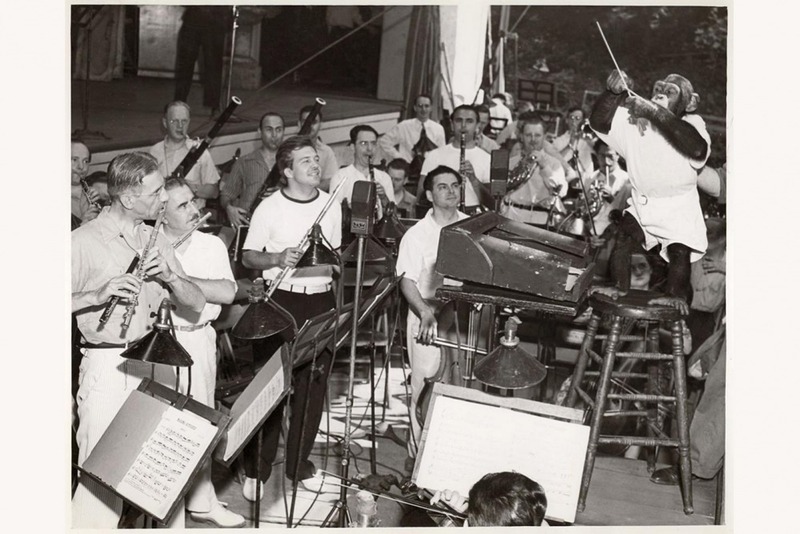 Jo-jo the chimpanzee rehearses the Robin Hood Dell Orchestra in July of 1940. In 2012, the Mann embarked on its ambitious Campaign for the Future, part of which would focus on major venue renovations designed to improve and modernize the patron experience. Investing more than $28 million in capital improvements over the past decade, the Mann’s goals were to provide better access, amenities, and options for both artists and the public, maximize the site’s skyline views, and better integrate the Mann into the natural setting of its Fairmount Park location. A key element of Campaign for the Future was the opening of Skyline Stage, a general admission, standing room only stage located on 3.5 acres of lawn at the Top of the Hill at the Mann. With unparalleled views of the Philadelphia skyline, Skyline Stage was designed to increase the number of concerts held at the Mann, create a more intimate experience, and appeal to younger audiences. It also attracts performing artists who prefer a scalable, open-air venue over a larger, fixed-seat house. The Mann held its first Skyline Stage show in the summer of 2012. 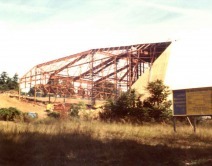 In 2016, the Mann celebrated the 40th anniversary of its pavilion. For this season-long celebration, The Philadelphia Orchestra, the Pittsburgh Symphony Orchestra, and the Philly POPS headlined the Mann’s 2016 Summer Classics Series. 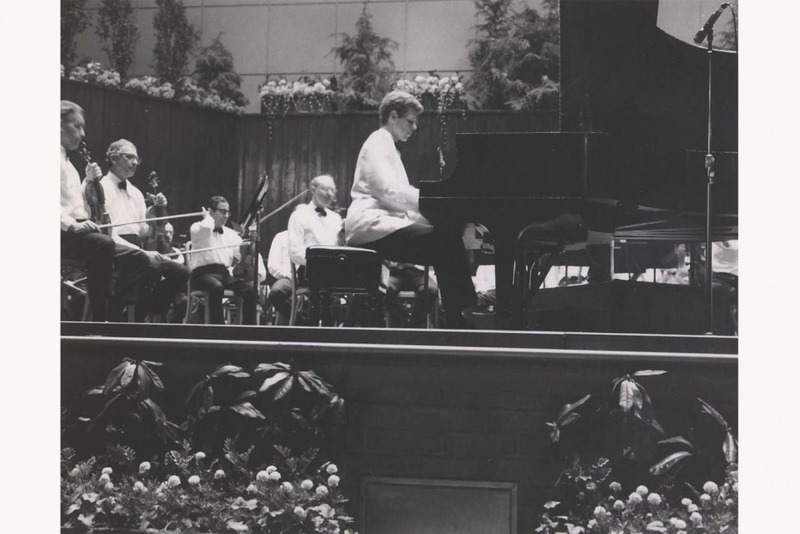 In truest celebration of the Mann’s legacy, The Philadelphia Orchestra performed a special program featuring music drawn from the Orchestra’s repertoire played during the first season at the Mann in 1976. In 2016 and 2017, the Mann celebrated being named Philly.com’s Readers’ Choice – Live Music Venue. The Mann was also awarded the Philadelphia Area Concierge Association’s 2016 The Best for Our Guests Award in the category of Music Venue. In 2018, upon launching a complete website redesign, the Mann celebrated a prestigious Webby Award nomination in the category of Events. The Robin Hood Dell is founded as Philadelphia's outdoor music venue. Zubin Mehta makes his American debut at the Robin Hood Dell. Philadelphia's largest covered music and arts venue is born as the Robin Hood Dell West. The original Robin Hood Dell is renamed the Robin Hood Dell East. The Robin Hood Dell West is renamed the Mann Music Center after founder Fredric R. Mann. Baryshnikov and Martins appear in a production of ballet highlights. The Mann Music Center hosts its first Kool Jazz Festival. The Mann hosts the popular show CATS. The Mann undergoes a physical overhaul, inaugurates the Jazz at the Mann Series with the Philadelphia Clef Club, and presents Riverdance. The Mann completes a phase one, $15 million capital campaign. The Mann celebrates its 40th Anniversary of our pavilion, which was built during the bicentennial. One of the Philadelphia region’s leading cultural and civic assets, the Mann Center for the Performing Arts has presented world-class performing artists of diverse musical genres in Fairmount Park since 1935. Founded as the Robin Hood Dell Concerts, this unique outdoor amphitheater has continuously served as the summer venue for concert presentations of the world-famous Philadelphia Orchestra. From 1935 to 1976, The Philadelphia Orchestra was presented as The Robin Hood Dell Orchestra for this summer concert series.